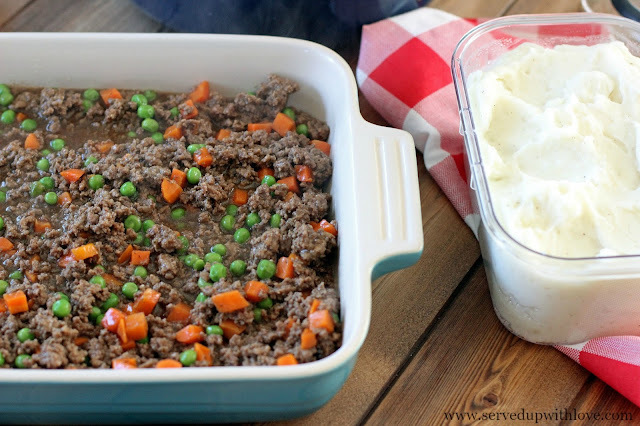 Gravy soaked beefy goodness with peas and carrots smothered in creamy, cheesy mashed potatoes, did I get your attention? 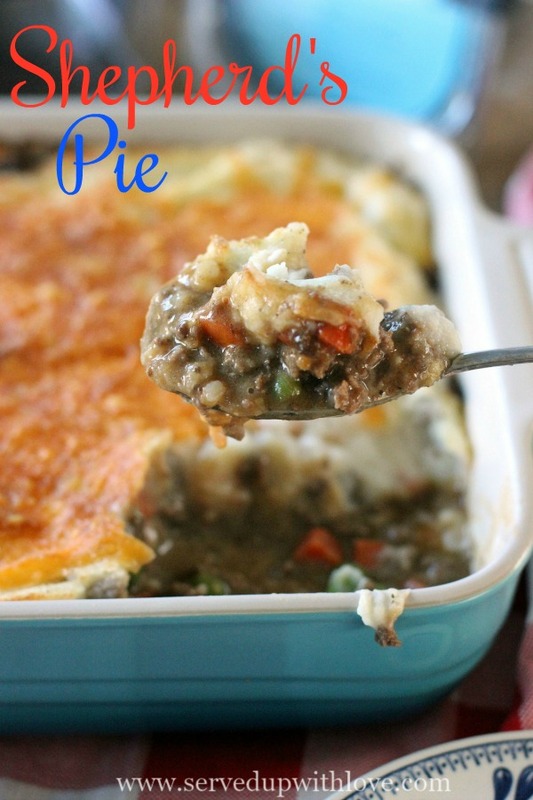 This Shepherd's Pie is to die for good! I was in charge of the mashed potatoes and the macaroni & cheese for Thanksgiving. And anyone that knows me knows I like to feed people so I made a ton. 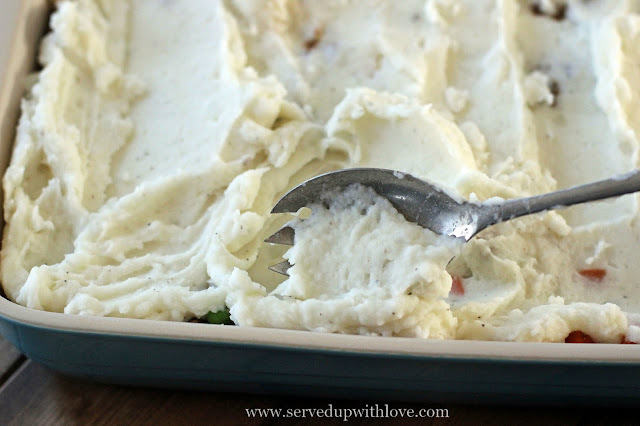 What on earth was I going to do with all those leftover mashed potatoes? So I was on a mission to figure out what to do with them (other than just eat them all myself!!) I wanted something filling, something comforting, and something amazing! 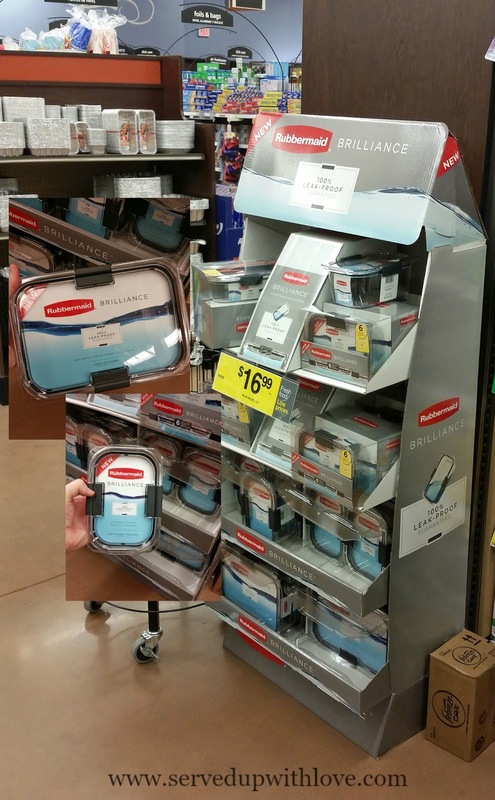 Have you seen these Rubbermaid Brilliance Food Storage Containers yet? They have a leak proof airtight seal, are crystal clear, stain resistant, and they stack perfectly so I can grab them easily to store leftovers. I can not tell you how many times I took food to family and friends and had it spill all over the place in my car. When I found these at Kroger, I knew I had to give them a try. To sweeten the deal, I grabbed this limited time offer of $2 off an individual container and $4 off a set. But y'all need to hurry because these are going fast. The set I had my eye on had all been snagged! The coolest thing about these containers are those latches on the side. They have vents in them so when you heat up leftovers in the microwave all you have to do is unlatch and the vents are there. Makes for splatter free reheating. Can you tell I am sold on these containers? 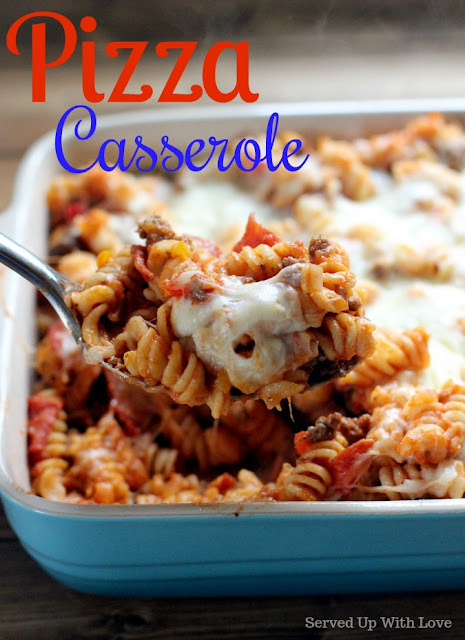 Life seems to get super busy for families around the holidays so getting supper on the table can sometimes be a quite a hassle. I always lean towards meals that are comforting and filling at the same time. This Shepherd's Pie could not be any easier to make and it gets rave reviews all around the table. 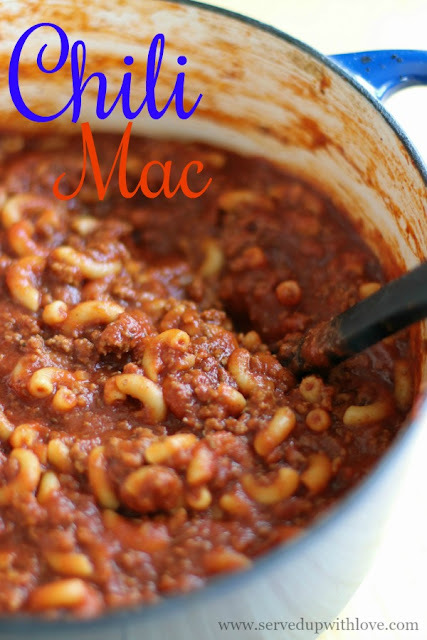 Plus, it makes great leftovers for lunch or another quick supper on a busy night. 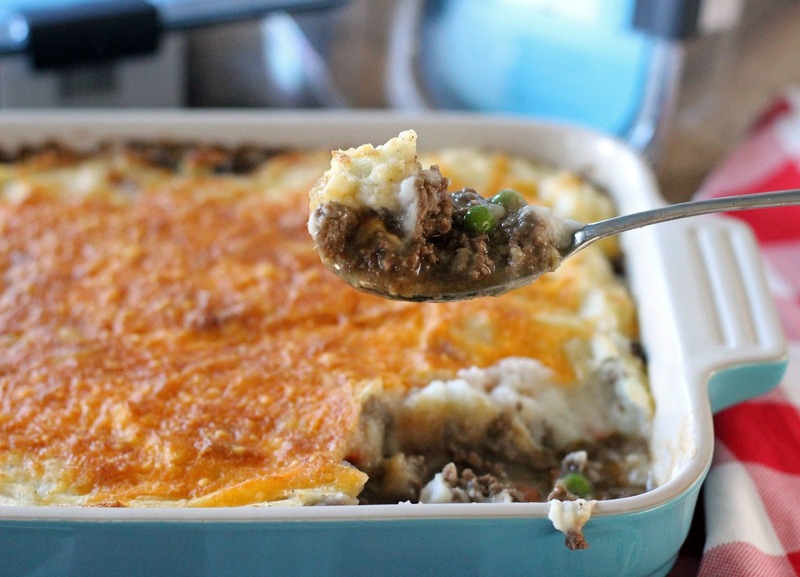 The beef mixture is packed with a ton of flavor and then those mashed potatoes topped with cheddar cheese , my goodness, it just brings this dish over the top! Y'all have to check out these Rubbermaid Brilliance Food Storage Containers and don't forget to grab this special offer. I would love to know, how do you reinvent leftovers? Cook ground beef in a large pan. Season with salt, pepper, onion powder, and garlic powder. Drain off any excess grease and then add gravy mix with the broth and water. Stir. Add in the peas and carrots and simmer for about 5 minutes. 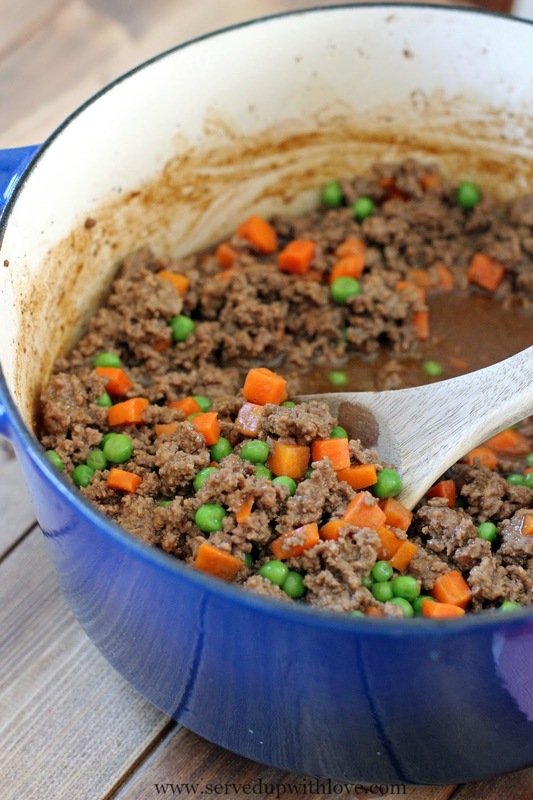 Pour the meat mixture into a 9 x 13 inch casserole dish. 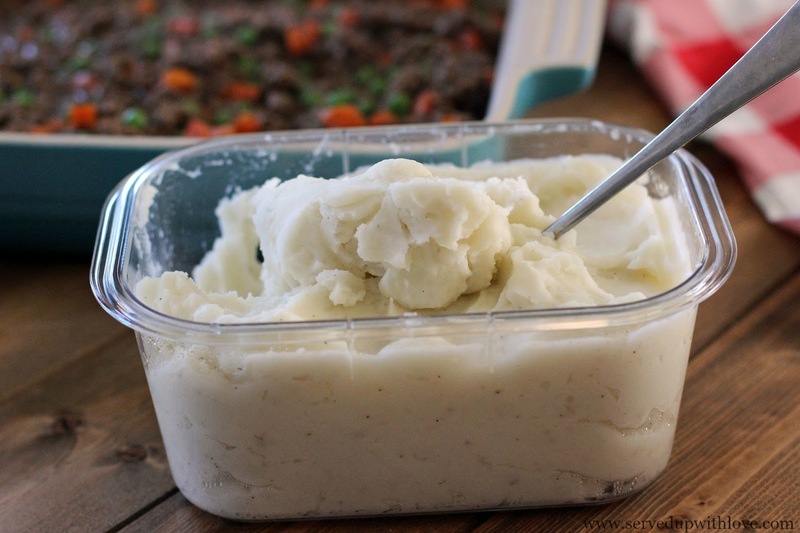 Spread the leftover mashed potatoes over the top as best you can. Spread the cheese all over the top. Bake in a 350℉ oven for 15-20 minutes. Enjoy! Thanks Denise! It was so good we had to have it again 2 nights later! Thanks for the recipe! I didn't have the frozen veggies or gravy mix, but I DID have fresh veggies and some beef bouillon and flour to thicken up the sauce. You gave me the right inspiration, so thanks! I use veggies from tacos for chicken tortilla soup. In addition using leftover pork roast for street tacos! It's a great way to stretch the almighty dollar with growing children!! Melissa. 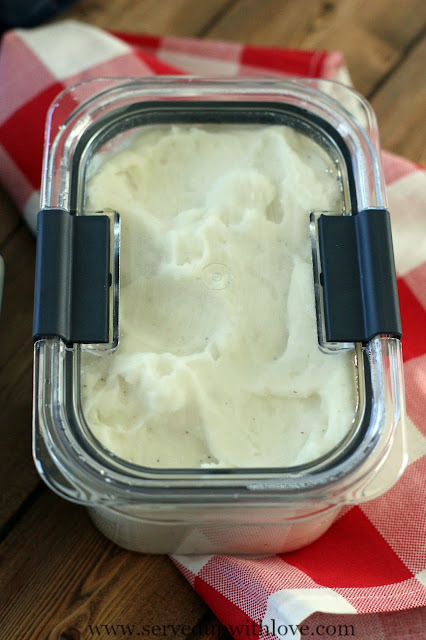 Can you use instant mashed pototoes? You sure can Kathleen. Hope you try soon and enjoy.